Accept your striking style and take center stage on the roads of Dover in the most recent Toyota C-HR. Nimble maneuvering and a driver-first configuration guarantee you keep control for sleek, spirited travels. Looking for further details? When you review everything our Bill Dube Toyota team has to share with you regarding this sincerely category-leading crossover, it will not be long before you drop by and purchase or lease one of your own. Exhibiting precision-carved lines, the one-of-a-kind Toyota C-HR blends diamond-influenced layouts with stylish metro driving to attract attention from all angles. In addition, a cantilevered back spoiler installed above the raked rear window grants this metro easy rider’s lower-body outline an added dose of attitude. If driving a crossover that understands garnering attention is your desire, then the Toyota C-HR is distinctly the crossover for you. You can make it a point to change up the appearance of purchased or leased C-HR variations, so neighbors all over the Dover NH area will notice yours for sure. Turn the roof and outside mirrors white or black by requesting the R-Code paint treatment. As far as allure is concerned, this relatively basic modification produces serious gains. From traveling about regular byways to winding tracks, C-HR is a stimulating drive primarily because of its racing heritage. The dazzling 2.0-liter (L) inline four-cylinder motor cranks out 144 horsepower (hp), while an effective Continuously Variable Transmission with intelligence and Shift Mode (CVTi-S) manages the job of dispensing an effective experience. When you would like to take the reins, seven gears stand ready for your orders by way of the Sequential Shiftmatic Mode. On top of that, faster acceleration that grants you the electrifying sense of race-inspired performance is available using Sport Mode. Starting off the model lineup, C-HR LE comes equipped with a number of additions built on making your trips convenient and more sophisticated. Each of these items comes together to heighten your drives around Dover, including remote keyless entry, a leather-adorned shift lever, auto-dimming rearview mirror, and projector-beam halogen headlamps with outstandingly grouped LED Daytime Running Lights (DRL). Should you be the sort of driver who loves to attract looks, the C-HR XLE trim needs to fall at the pinnacle of your list. No matter if you are captivated by its vortex-styled 18-inch (in.) 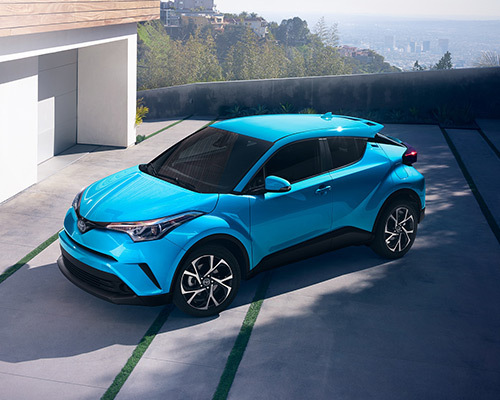 sport alloy wheels and black front lower grille inset, touch-sensor door system, or puddle lights that display “Toyota C-HR,” there is no denying this version has plenty of ways to catch a person’s eye. Just as at home on hectic packed interstates as it is on open highways, C-HR Limited exhibits a selection of enhancements to grant you added moments of stylishness and luxury. While you are made relaxed in the cabin via seating trimmed in leather, a warmed driver’s chair (sport bolsters incorporated) you can change eight ways, and 3.0 Audio Plus with App Suite, the outside calls for interest with the help of a piano-black B-pillar, chrome-accented windows, and red rear bumper sculpting. The moment you move inside Toyota’s brand-new C-HR, you can definitely recognize it was created for people who truly relish driving. A leather-trimmed steering wheel, satin-wrapped shift knob, dual zone automated climate control, and storage-expanding 60/40-split back seating come together for the ideal blend of class and convenience. To put it simply, every interior attribute of this crossover aims for enhancing your joy as you make your way about Dover NH. 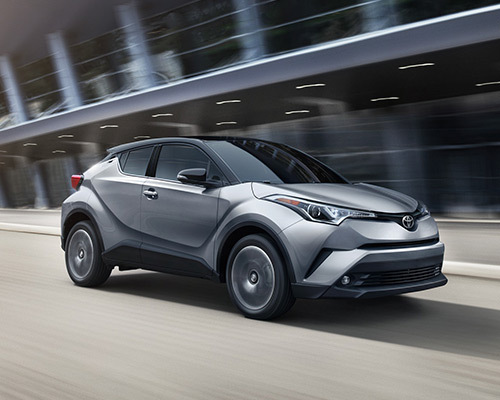 Additionally, there is a sizeable amount of cutting-edge tech amenities contained in the brand-new Toyota C-HR you purchase or lease at Bill Dube Toyota. Glance at data you desire to see, like average fuel efficiency, on an individualized 4.2-in. TFT Multi-Information Display and unlock a plethora of applications, such as the Aha Radio app (complete with 100,000+ stations) and hands-free phone calls on the eight-in. touchscreen monitor. An image of the rear-mounted camera view in full color is also located on C-HR’s auto-dimming rearview mirror. If your schedule feels like it will never slow down, purchasing or leasing a C-HR helps ensure you are able to keep up. To speed up getting into your crossover, the Smart Key System automatically opens the front doors and back hatch, as needed, without you having to engage the key fob. Then, engage the motor at the press of a single button (and heat up the auto-folding side mirrors on cold or foggy days) to head off faster. 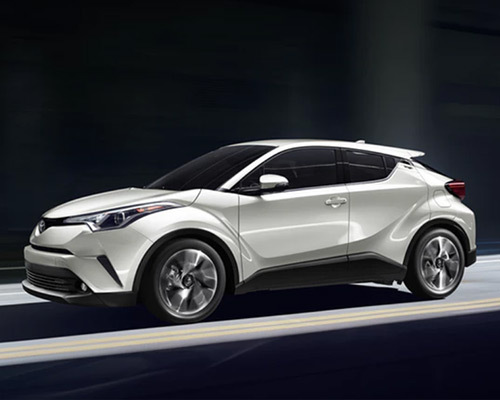 You will quickly find out why countless individuals in Dover NH are purchasing or leasing the imaginative C-HR after your in-depth evaluation of this dazzling, high-quality crossover at Bill Dube Toyota.